You will need a quick Spanish lesson to get the gist of this sign outside of a bar in Batahola Sur in Managua, Nicaragua. 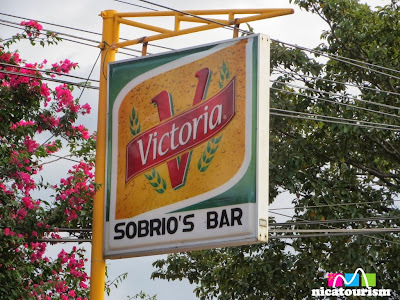 In Spanish, "sobrio" means sober as you might have guessed. However, it will probably be difficult to find a sober client in this bar...thus the oxymoron and a pretty funny tongue in cheek sign!